Published: Nov. 26, 2017 at 05:22 p.m.
Arizona Cardinals linebacker Josh Bynes strips Jacksonville Jaguars running back Chris Ivory and Arizona Cardinals linebacker Karlos Dansby recovers the fumble. 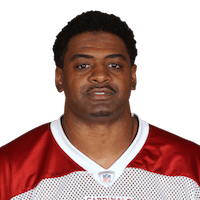 Published: Nov. 5, 2017 at 07:29 p.m.
Arizona Cardinals lineback Karlos Dansby picks off San Francisco 49ers QB C. J. Beathard. Published: Aug. 26, 2017 at 07:27 p.m.
Arizona Cardinals safety Tyrann Mathieu intercepts Atlanta Falcons quarterback Matt Ryan on a tipped ball.